Behind on Mortgage? Financial Hardship? Bad Tenants? We Can Help in Any Situation! We Promise Not To Waste Your Time And Give You Our Absolute Highest Offer! Just Fill In This Form! I Want My Cash Offer! We’re The Fastest House Cash Buyers in the AL & TN Area That Pay TOP DOLLAR! Find Out How It Works! Does That Sound Like You? Thinking “How Can I Get Rid of This Headache of a House ASAP”? We’ve helped stressed homeowners by buying their troublesome properties quickly, so they could move on with their lives. We buy houses in Alabama and Tennessee for cash and as is. We are an ideal solution if you want to sell fast, without having to deal with steep agent commissions and long periods of uncertainty wondering if your house will ever sell. We are legitimate homebuyers, ready to give you a great offer on your house! Fair, honest, fast, transparent, and FREE! Yes, you absolutely can sell your house fast, at a great price, without having to pay commissions or closing costs! We Are The Actual People That Will Buy Your House For Cash. No Loans, No Banks, No Approvals Needed! Don’t stress about how you’ll sell your home fast. We can take troublesome properties off your hands in as little as a week. We have bought many houses in Tennessee in cash from homeowners just like you. Facing foreclosure, dealing with a divorce, job loss or financial hardship, having to move out of the city urgently, house in need of too many repairs, tenant issues, whatever the reason, we will buy your house and we will give you the highest possible offer no matter how desperate you may be! From buying houses in Memphis TN all-cash including the nearby cities of Cordova, Bartlett, Germantown, Lakeland, Arlington and Collierville, to buying homes in Huntsville AL, and the surrounding areas of Madison County AL, like Madison, Meridianville, Harvest, Toney, Decatur, we can give great offers by taking banks and agents out of the equation. No loans, no banks, none of that. We find an offer that works for you and we close on your schedule, even it needs in a week – that can really save the day if you’re running against the clock, like an impending foreclosure, bills piling up, or legal trouble! We bought this house from a homeowner who was going to lose it to the bank. They didn’t drag their feet procrastinating, so they were able to save their credit and equity by working with us! You don’t have to lose sleep over how on earth you’ll sell your home the traditional route – there’s another way, by working with us, cash buyers, we can close quickly. So it doesn’t matter where in AL or TN you have a house for sale. Whether you want to sell your Memphis TN house or sell your Huntsville AL home, or you want cash for your problem property, we will buy it! We can help all types of sellers — from people who are behind on their mortgage and don’t want to destroy their credit for years to come, to tired landlords who are getting a little too old to take care of their rental properties every time a tenant trashes the place. The good news is we buy houses all over Alabama and Tennessee, it doesn’t matter where. We can close very quickly. Once the title search comes back clean it just takes a few days to set up the closing and get the payment over to you! It all starts with you filling out the form so we can get to work formulating the best offer you will get period! Sell your house directly to us and skip agent fees! Here are step-by-step instructions to learn exactly how we do what we do! First it is best to find out how we buy houses in Alabama and Tennessee. Next, visit our most frequently asked questions to have all your questions answered. All that is left is to find out who we are and see if it feels right to choose us! We promise to be fair, honest and genuinely helpful. Give us a try. You’ll be glad you did! Hi, I’m Moses Alexander! If you want to know how much we will pay for your house in CASH, just click below! 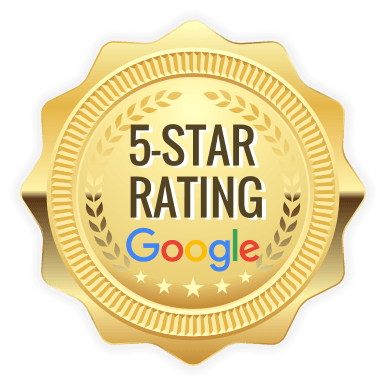 Moses Buys Houses, is the top ranking family-owned and operated Cash Buying team in Alabama & Tennessee, with 5 star reviews on Google. Transparency, honesty, and integrity are the core principles we model our business on. As a faith-based company, we treat all people with respect and always do what we say – so if we say we’ll buy your house, you can rest assured we’ll the the process through. If you are thinking “I need to sell my problem property fast,” don’t fret! We really offer cash for homes in AL and TN! Visit our testimonials page and see why we are the preferred home buyers in the area. You’ll never feel pressured to sell your house and we’re always available to help, even if you choose someone else! Moses Buys Houses is a real estate solutions and investment company based in the Mid-South and we buy houses for cash in Alabama and Tennessee. As a family owned and operated business, we buy houses and assist homeowners out of difficult situations. Our top priority is being 100% upfront and honest and we always treat people with respect. We are investors and problem solvers who can buy your house fast with a fair all cash offer.